Couples who game together, stay together. Nothing is better than hanging out with your significant other on a typical Friday night while shooting at one another, dining on zombie brains, and unlocking magical quests. But. the big question still remains; which console games are the best for two lovebirds to engage in? Get ready to lock and load ’cause after you get through this list, it’s going to be a long, romantic weekend for you and your special video game loving vixen. We recommend Diablo 3 for gamer couples but previous installments in the series will be just as fun and time-consuming. 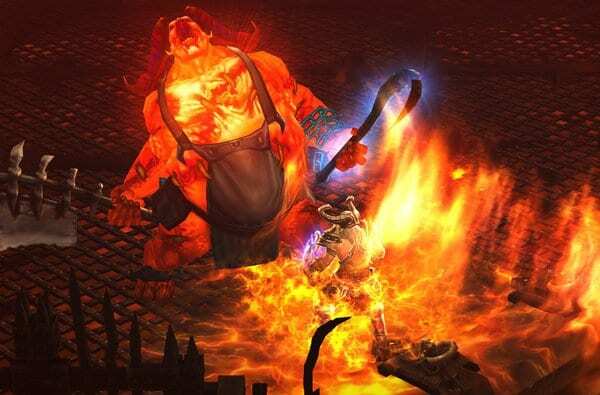 For Playstation pairs or Xbox enthusiasts, Diablo will literally light a fire under your behind. The best part about playing as a team is you can be together in the same room (old-school style) or you can still channel the co-op option and connect from different destinations if need be. If role-playing is something you guys are into, don’t miss out on Diablo 3. It’s the perfect fantasy console game complete with action, magic, and interesting storylines. Borderlands makes for an interesting team experience. The entire series is worth a run-through and you and your partner (both in life and in gaming), can embark on a graphic journey that will keep you entertained for a prolonged period of time. For war-loving couples out there, you’ll really dig the role-playing, first-person shooter positioning and the impressive weaponry to choose from. Be careful, though. 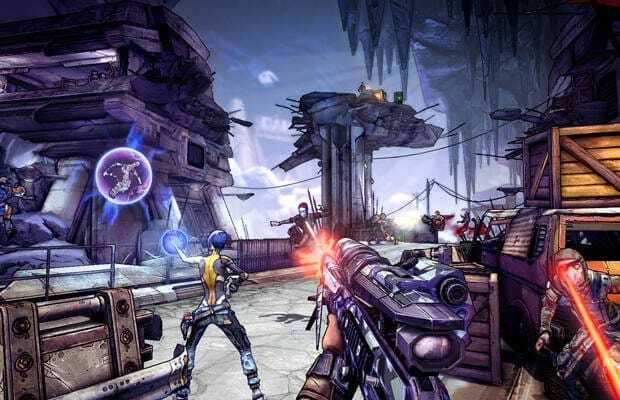 The Borderlands series is highly addictive and your best off with a significant other who knows when to say enough is enough. 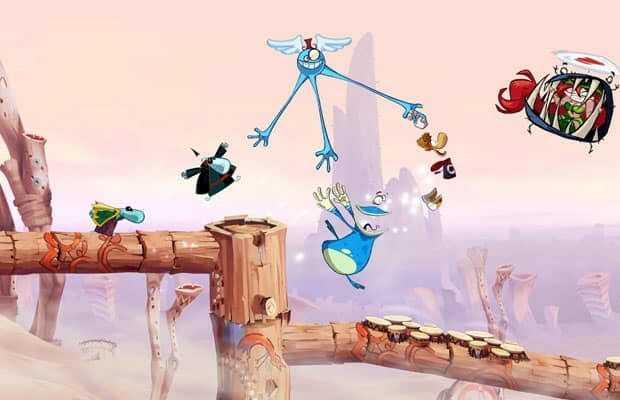 Quirky couples need to invest their time, skills, and money into the entire Rayman series but to start off, we suggest the fourth installment, Origins. If names like the Snoring Tree, Jibberish Jungle, Moody Clouds, and Mystical Pique sound endearing or comical to you, then prepare to be strangely satisfied by Rayman Origins. 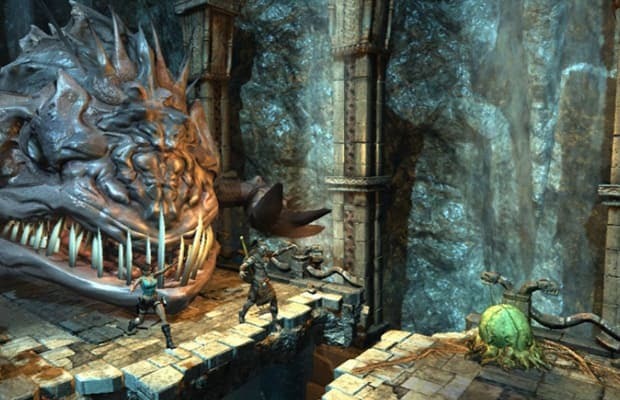 The game is focused on finding rare relics and unlocking magical powers or the ability to attack, which all come in hands as you ascend to different levels in different worlds. For Xbox players, Left 4 Dead is where it’s at. The action-horror game may be reminiscent of other zombie centered console games but this one comes with a bit of an edge. For gaming pairs that appreciate award-winning masterpieces, then this is the series for you. 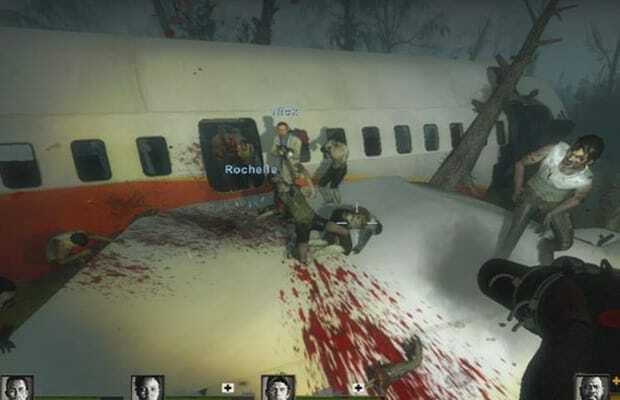 In 20089, Left 4 Dead was named the best multi-player game by IGN and was nominated for Game of the Year. What we’re trying to say, is that couple connoisseurs of the video game world should check this one out and greatly indulge is they want to keep up their street cred. If you and your horror loving honey want to kick it up a notch, break out the Resident Evil series on a stormy night. This terrifying survival game comes with way too many installment options to recall, but the quality and content both have amazing consistency with each release of a new version. 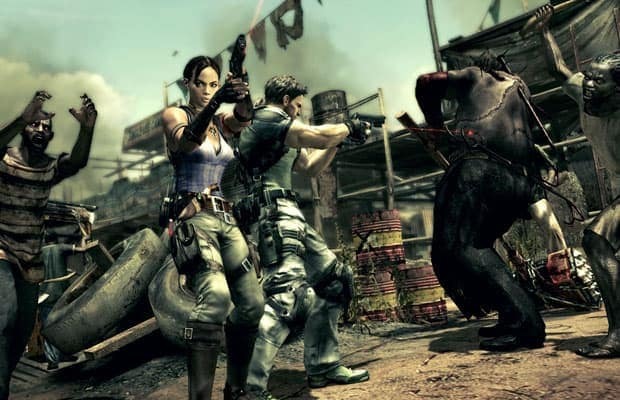 There is a total of 24 games in the series which backs up its credibility as an influential gaming franchise. As a couple game, it’s fast-paced and comes with a large collection of puzzles you can solve together. Not to mention, the boss battles are out of this world. Destiny is an action-packed sequence that’ll get your blood pumping all night long. If you’re a couple that likes to share a good adrenaline rush, then Destiny will give you just what you’re feening for. You have the option to set out on a dangerous mission, hang out on patrol, or join a strike with this console game. The various features are constantly being updated, so if you and your special someone are the type of pair that gets bored easily, this game will continue to surprise you with new content that’ll always interest you. It’s also the perfect video game for a double date if you feel like challenging another couple. We chose Black Ops lll for a reason. It’s the most interactive installment of the Call of Duty series, which is great for any gamer couple that likes to improve their communication skills and overall teamwork. 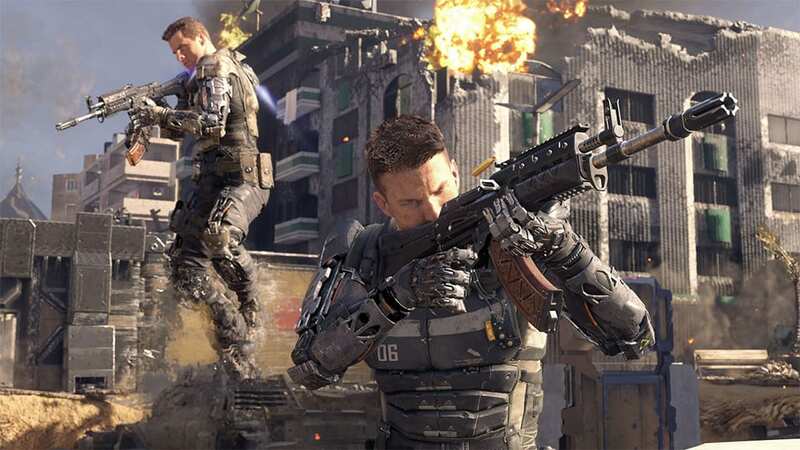 Black Ops lll requires a crafty combination of trust and coordination, therefore, you’ll come rise as a stronger duo by the end of your game. Call of Duty is a tried and true console game and if you set aside the controller to take a break a while, we’d say it’s definitely time to clock back in and give it a go with this version. 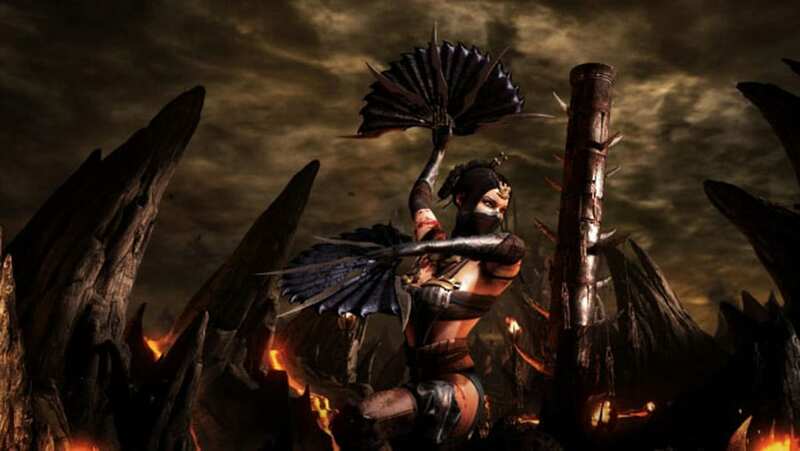 We suggest Mortal Kombat X for couples who need to blow off some steam. Perhaps you both had a rough day at work or maybe, just maybe, you got into a heated argument and want to challenge each other to a duel. Either way, Mortal Kombat X is the most impressive, updated version of the classic game. The most recent installment features Alien, Freddy Kreuger, and Jason Vorhees. All the classic characters are still there, too. There’s no better release for a tense couple situation than this console game. Super Mario Bros is a classic video game option that everyone wants to revisit at some point, whether you’re a part of a coupledom or not. 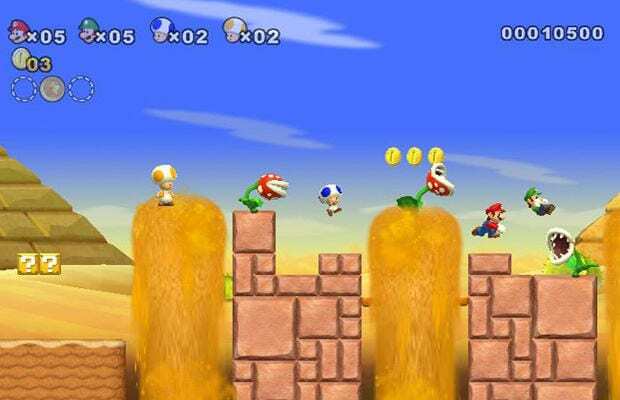 Wii’s Super Mario Bros is the modern update of the beloved console original. This 2009 version remains true to the game’s popular concept, which is hard to find nowadays. If you’re a gamer couple that prefers to stick the basics but still need to challenged and kept up to date on the latest tech, break out the Wii Super Mario game. After all, old habits do die hard. 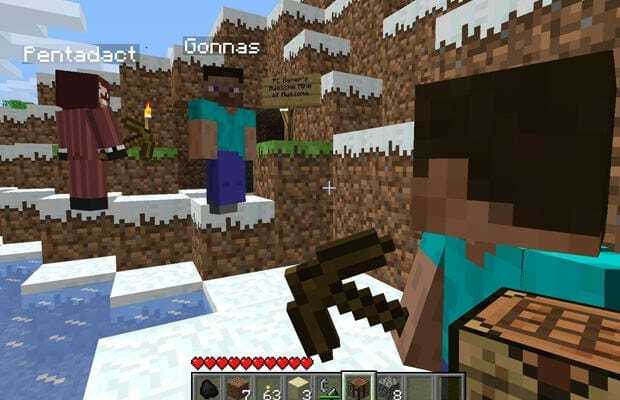 To point out the obvious, Minecraft is a solid game for playing couples. Together you can build homes and other structures, explore the land you “live” on, and gather the proper resources you need to survive. You’ll also have to try your at hand combat here and there, but it’s not too violent. We’re going to get mushy on you for a quick second here and awkwardly point out that if you’re debating a long-term future with your current partner, this may be the game to experiment with. It couldn’t hurt, right? 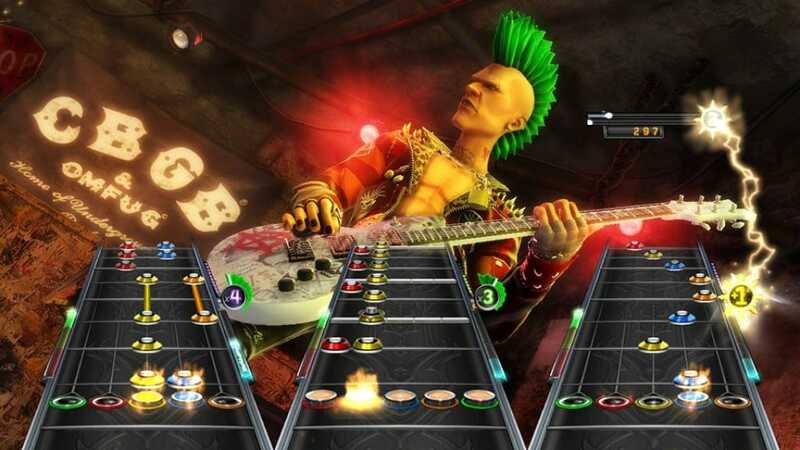 For couples that share the same music taste, Guitar Hero would be the ideal fit. The latest version of the console sensation added some new features that’ll have you rocking together until the break of dawn. The visual effects are much more impressive than they used to, so you’ll have something extraordinary to gaze at but the real treat is the extensive playlist that covers every genre imaginable. If you’re looking to host an intimate party for two, Guitar Hero really is the best activity to get your quality time going. The Walking Dead franchise is too successful for its own good. Even with its blatant societal obsession and trendy appreciation for the theoretical zombie apocalypse, the video game is still ridiculously cool. 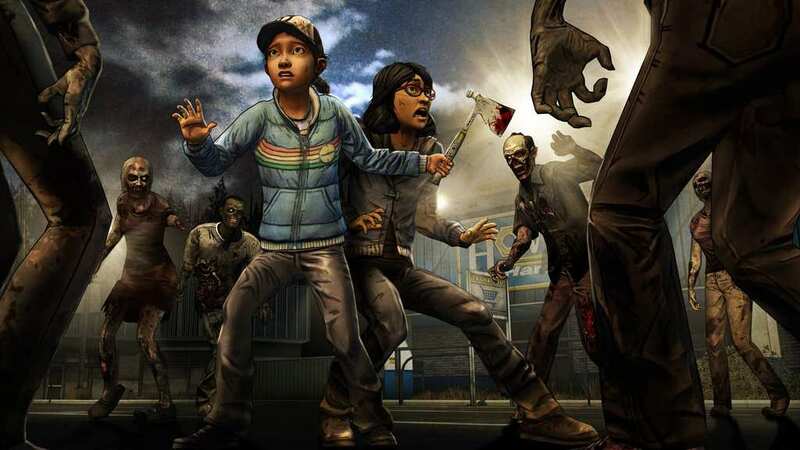 In this console version of the Walkers series is based on episodic sequence and follows your favorite characters in their original, comic book form. It’s not as combative as you’d think, though. The Walking Dead game is more focused on problem-solving than actual fighting but it’s still totally horrific. It may seem kind of corny, but trust us on this one. 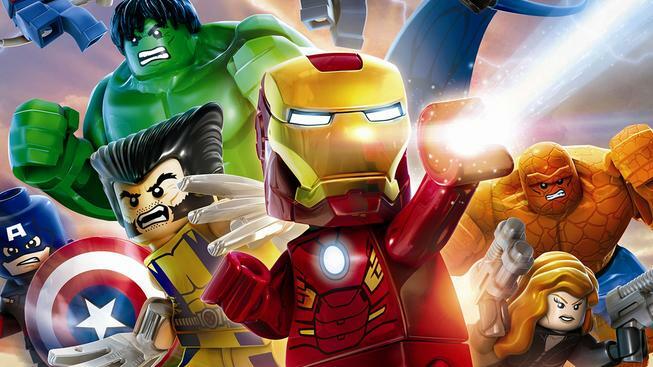 Lego Marvel Super Heroes is crazy exciting. It’s not your typical violent video game; instead, it chocked full of logic puzzles, battles between ultimate heroes, and of course, your favorite Marvel characters from the comics and film franchise. Lego Marvel Super Heroes gives you and your sweetheart a chance to act like to children again, if you don’t already do that in your spare time. This console game takes a different type of teamwork than shooting games require and to be real, it’s pretty refreshing. If you haven’t tried Never Alone on your own yet, grab your significant other and enjoy the majestic scenery that comes along with the artistic console game. 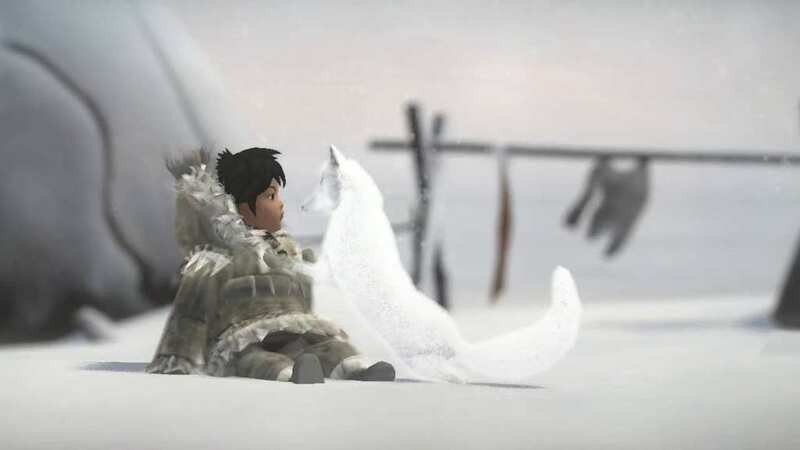 Never Alone is beautifully designed and the aesthetics are mesmerizing, but you’ll really get a kick out of the puzzles and laid-back nature of the game. We highly suggest this unique experience if you’re up for a romantic date night or need to some time to chill out with your favorite cuddler in comfortable silence. To put it simply, we’ve included Scott Pilgrim vs. The World on this list because it’s impossible to find a gamer couple who wouldn’t jump at the opportunity to be Ramona Flowers and Scott. The conceptual romance that thrives in the Scott Pilgrim universe is too tempting to ignore and if you’re down to punch some holes in the moon for your one true love then get on this immediately. 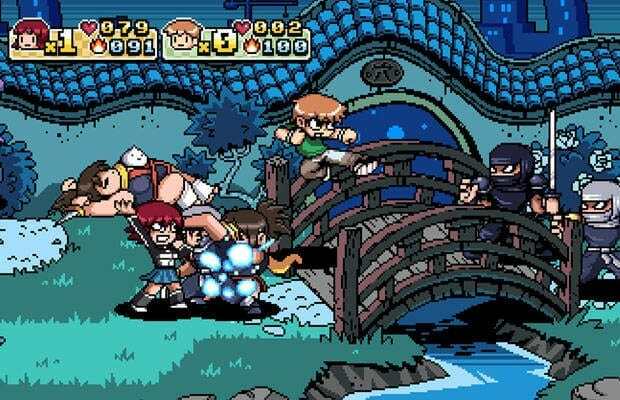 It’s Bonnie & Clyde in video game form and pretty much everyone wants to knock out an evil ex, or two. Don’t try to deny it. 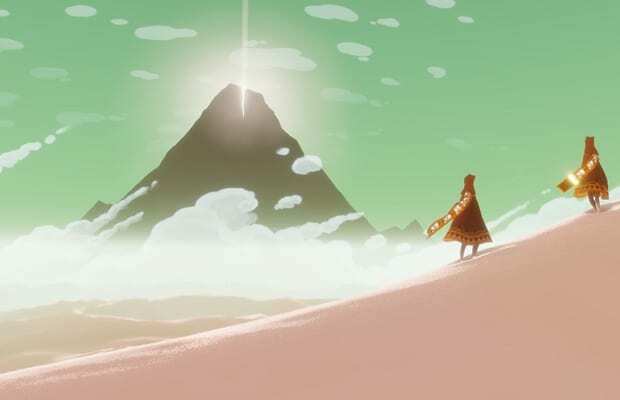 Journey is one of the most underrated video games released by Sony. For a serene evening with your favorite person in the world, take a trip to a mysterious, seemingly religious dimension and fade into oblivion. The imagery is really the most eye-catching element of the game and takes about 3 hours to complete. You can take turns with your partner or play Journey alongside your friend but in the end, it’s all about a meditative experience. Journey is for the couple with patience or one that needs to develop it. Lara Croft will never get boring. We recommend The Guardian of Light and Temple of Osiris so you have the option of working as a duo or surprising each other with some fantasy betrayal. The Lara Croft series is great for old school gaming couples who like to stay loyal to the original console games of the 90’s. Temple of Osiris is particularly fantastic, mainly because of the graphic visuals and the quests for treasure that you and your partner get to embark on.